The Porta all'Arco, an ancient Etruscan gate built in 400 B.C. Our FABULOUS Rick Steves Group! 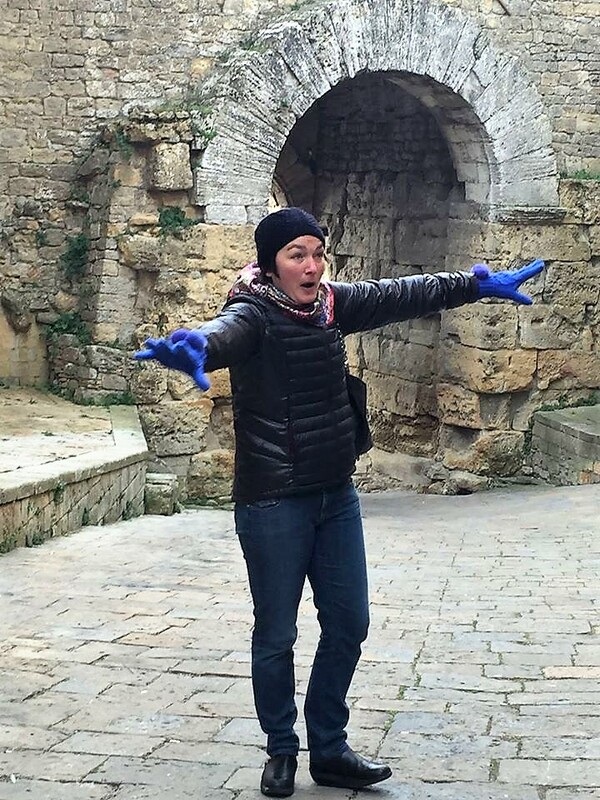 Sleepy Volterra was the perfect antidote to the bustling traffic and noise of Rome. 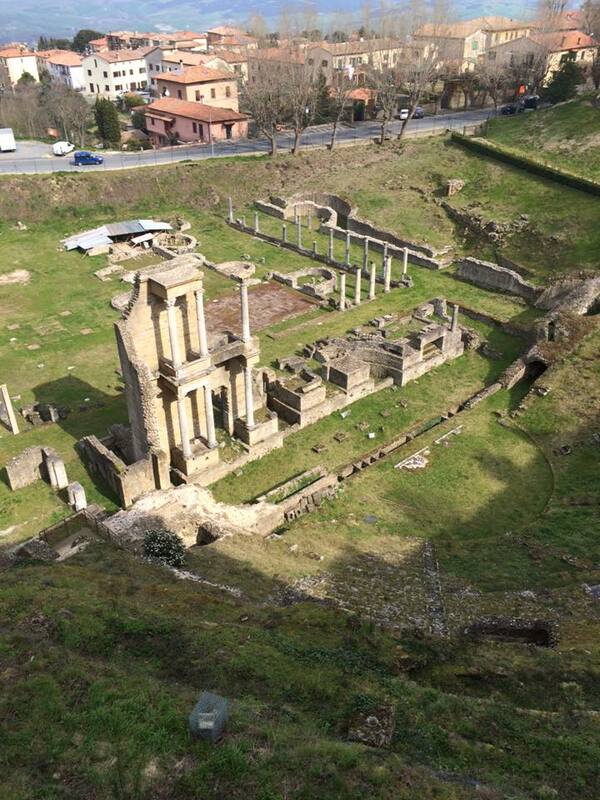 We departed Rome and drove to the enchanting town of Volterra. Its stone walkways, wine cellars, and stellar views were unforgettable. Our lively guide Annie led our walking tour and her sommelier husband Francesco led us through a delicious tasting of local wines. We visited the Guarnacci Etruscan Museum to learn about pre-Roman culture and to visit the stunning Ombra Della Sera, or Shadow of the Night bronze statue. A visit to an alabaster workshop showed us how the material is worked into fine carvings. Janet found a jewelry shop that specializes in recreating Etruscan designs and took home a historically accurate set of earrings! An ancient Estrucan couple lounge leisurely on their tomb.